The temperatures out of the water have stayed up too, so we’re still over the magic 20c combined. There was a great group swimming in Myrtleville on Saturday morning and the Turkey Swim attendances in Sandycove this weekend also stayed high. 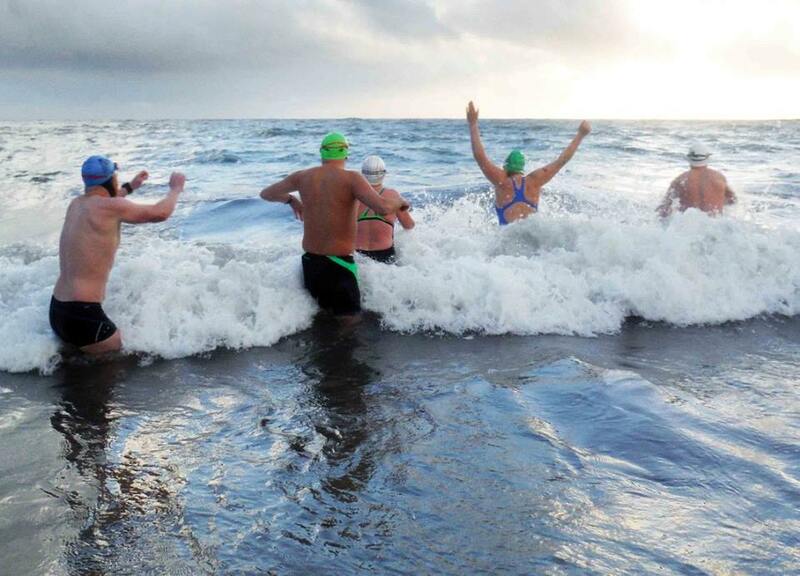 Next Turkey Swim is on Sunday 23rd (next weekend) in Myrtleville. 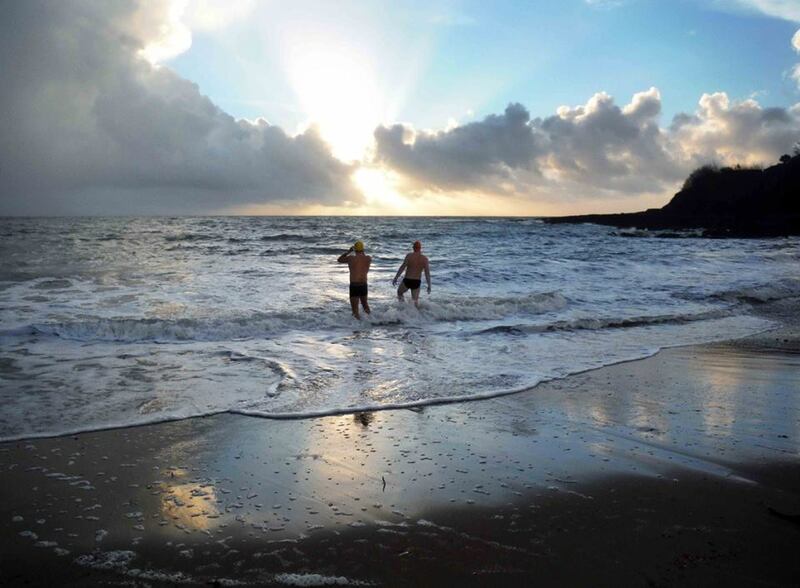 The early morning swims are always worth it for the sun – when it breaks through. Gary and Jim can see the light. 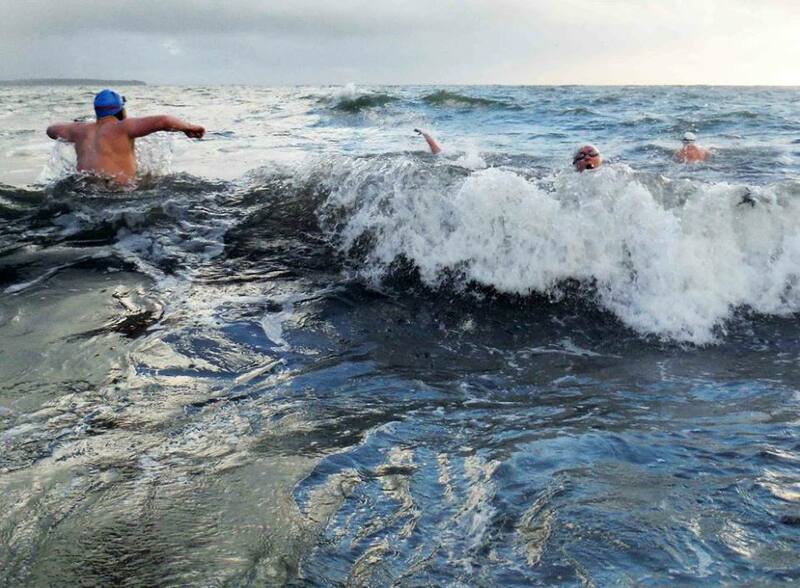 Some swimmers have a theory that the water feels warmer when it’s a bit rough. The froth warms it up, they reckon. Welcoming waves. Fluffy and warm. Of course, there are times when that theory doesn’t work out – like when that first wave hits you a bit early. Anne Sheehy enjoying the fluffy warmth.